Severe thunderstorms have brought lightning and heavy rainfall to Sydney, with almost 50 millimetres falling in some suburbs during a 30-minute deluge. More than 47mm fell in 30 minutes at Guildford in Sydney's west, while Auburn was drenched by 41mm and Parramatta by 38mm. But individual suburbs would expect that kind of rainfall once every ten years. "Some of those places that had 40-plus millimetres of rainfall tonight — that's starting to get you into some less common territory." Endeavour Energy said 26,000 homes across western Sydney were without power. Sydney Airport is reporting delays of up to one hour at its domestic terminal. The State Emergency Services (SES) received 509 calls and is currently attending 355 jobs in the Sydney metropolitan area. SES acting coordinator duty operations, Stacey Phillips, said most of the calls were for damage to roofs and trees that had fallen across houses and roads. Nine people had to be rescued from flash flooding, mostly in the Parramatta and Auburn areas, she said. Parramatta Road has closed in both directions at Granville due to flooding in Mort Street, the Transport Management Centre also said. Fallen trees caused road closures in Cherrybrook and Galston Gorge. In Penrith, ominous green mammatus clouds seemed to signal hail. 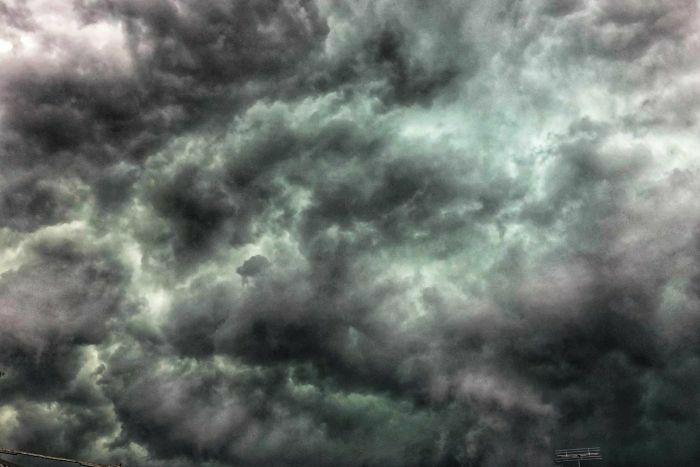 The Bureau of Meteorology warned heavy rain, damaging winds and large hailstones could affect parts of the Blue Mountains, Hawkesbury, Sydney, Wollondilly and Greater Wollongong areas. 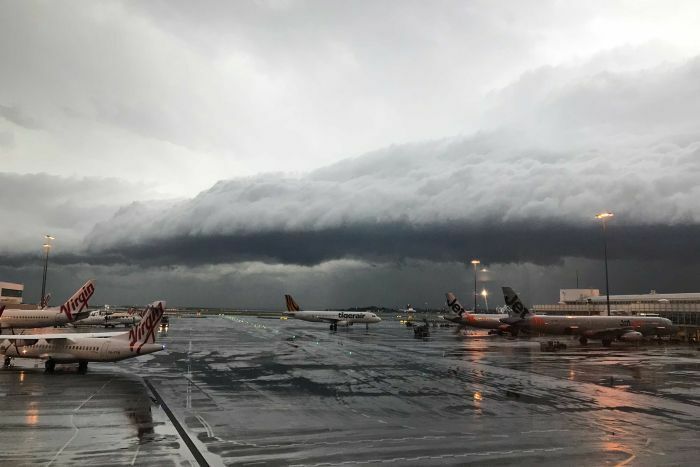 It said severe thunderstorms were detected on the radar near Hornsby, Parramatta, Wollongong, Sydney city and the Airport, as well as Olympic Park and Picton. They were moving east, with storms forecast to affect the central coast, southern suburbs and south-west. The SES has advised people to move their cars under cover and away, secure loose items around your house, yard or balcony and stay at least 8 metres from fallen power lines.